If you’re looking for the easiest, most affordable way to improve your smile, consider cosmetic dental bonding. 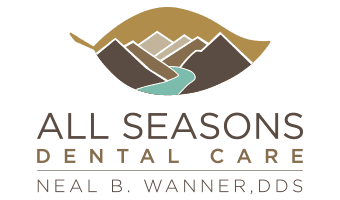 At All Seasons Dental Care, Dr. Neal Wanner treats many patients in the Seattle-Tacoma region by fixing their slightly chipped, crooked, or stained teeth. 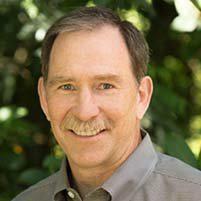 Call his office in Kent, Washington, or book an appointment online to see if dental bonding is your best option. Dental bonding is perhaps the simplest oral treatment for repairing the spacing and appearance of your teeth. This unique service offers the best of both worlds, restoring your teeth’s natural look as well as their health and function. Dental bonding is a minimally invasive resurfacing service using white-colored resin filling, unlike amalgam fillings (traditional ones made of silver and other metals). To ensure the bonding holds, Dr. Wanner scores the treatment area and administers a conditioning solution. After color-matching resin filling to your surrounding teeth, Dr. Wanner then shapes and smoothes the putty-like bonding into place. Dr. Wanner shines a laser to dry and harden the dental bonding, then finishes it with a quick polish. The whole procedure takes just 30 to 60 minutes per tooth since there’s nothing he needs a lab to custom-create. Best of all, you leave his office with instant results. Dental bonding isn’t a painful dental treatment. Dr. Wanner usually doesn’t need to administer anesthesia unless the bonding is close to the gumline, to fill a cavity, to repair a chip close to a nerve, or if significantly reshaping your tooth requires drilling. There’s no real downtime either for the treatment, so you’re smiling wider and more beautifully than ever the same day. Dental bonding usually lasts between three and 10 years, but it varies by your dental hygiene habits. Bonded teeth are susceptible to wear and tear, stains, and even cavities. Dr. Wanner especially cautions against nail-biting and other habitual chewing habits to maximize their longevity. He will also advise you on the care needed for your unique dental bonds. If you think dental bonding may be your best cosmetic solution, call All Seasons Dental Care or book an appointment online for a one-on-one consultation today.